On behalf of our entire Kansas City, Missouri community, it is our distinct pleasure to host Destination Imagination Global Finals. We’re so excited to welcome you to the Heart of America. Kansas City (KC) is renowned for its iconic fountains, second-to-none barbecue and rich jazz heritage. But those are just the basics when it comes to this Midwest destination. You’ll find a cosmopolitan city of two million people as passionate about welcoming visitors as they are about the city’s world-class attractions, innovative cuisine, fantastic shopping and eclectic art scene. Not to mention friendly people, affordable prices and easy accessibility. Kansas City is a culinary crossroads, cooking with all kinds of flavors. Whether you rub elbows with award-winning chefs or dig into farm-to-table favorites, you won’t go home hungry. Enjoy the best of America in KC—from seafood and steaks to food trucks and fried chicken. 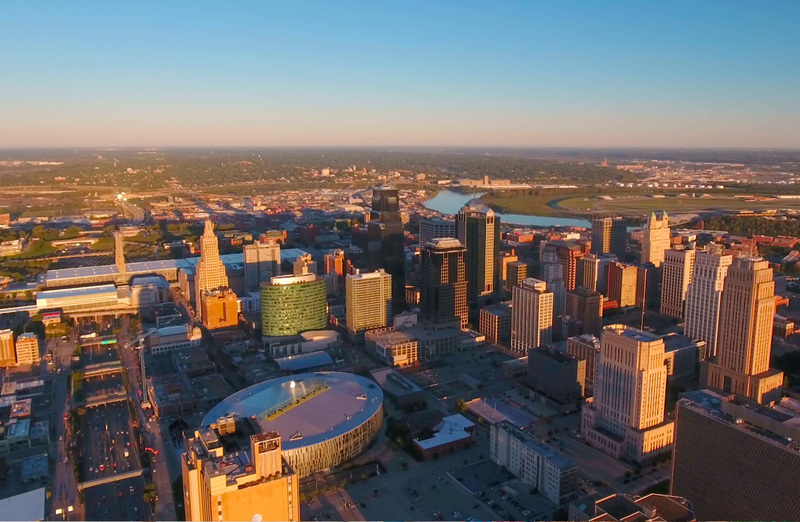 Indulge in local delicacies like Kansas City Strips, Chicken Spiedini and, of course, that tangy, world-famous barbecue. From the Roaring 1920s to the early 1940s, jazz reigned in Kansas City. Tune into KC’s signature sound at more than 40 area live jazz venues like The Phoenix and Green Lady Lounge. Retrace pioneer trails heading west. Tour America’s only World War I museum. Follow in the footsteps of Jesse James, or see where Amelia Earhart got her humble start. These and many other all-American adventures await. Kansas City’s cool, cultural vibe is all around. No wonder Hallmark and Walt Disney both got their starts here. Tap into your artistic side with three acclaimed art museums, 65 performing arts groups, the Crossroads Arts District and a world-class performing arts center. We look forward to welcoming you to Kansas City. Should you need anything in advance or during your stay, please don’t hesitate to contact us at 816-691-3800 or www.VisitKC.com. It would be our pleasure to help.